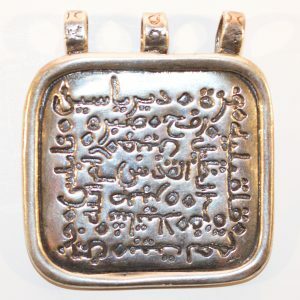 The khamsa symbol is believed to ward off evil. 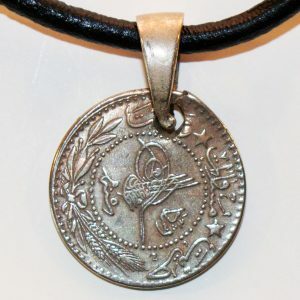 The hamsa (Arabic: خمسة‎ khamsah‬) is a palm-shaped amulet popular throughout the Middle East and North Africa and commonly used in jewelry and wall hangings. 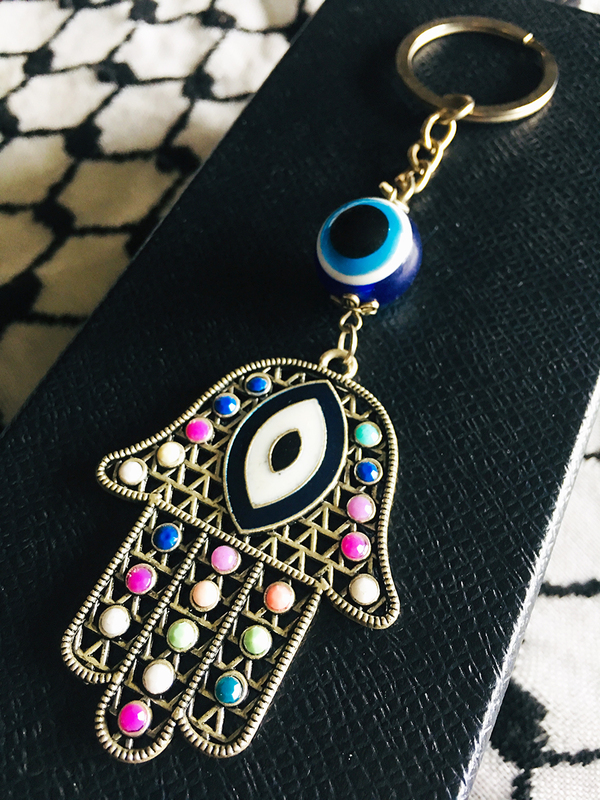 Depicting the open right hand, an image recognized and used as a sign of protection in many times throughout history, the hamsa is believed by some, predominantly Muslims, Jews and Christians, to provide defense against the evil eye. It has been theorized that its origins lie in Ancient Egypt or Carthage (modern-day Tunisia) and may have been associated with the Goddess Tanit. Khamsah is an Arabic word that means “five”, but also “the five fingers of the hand”. The Hamsa is also variously known as the Hand of Fatima after the daughter of the prophet Muhammad, the Hand of Mary, the Hand of Miriam, and the Hand of the Goddess.